Over the next few weeks/months I'm going to be showing you the creations that I made for my recent Annual Catalogue Launch Party, which was held last Saturday (20/6/2015). My upline Liv Ingle, organised it and was held at her place. It was 5 demonstrators pooling their creations together and inviting their customers to one of 3, 2 hour session to see and play with the new catalogue products and order some new goodies. It was a huge success and a very eventful day! 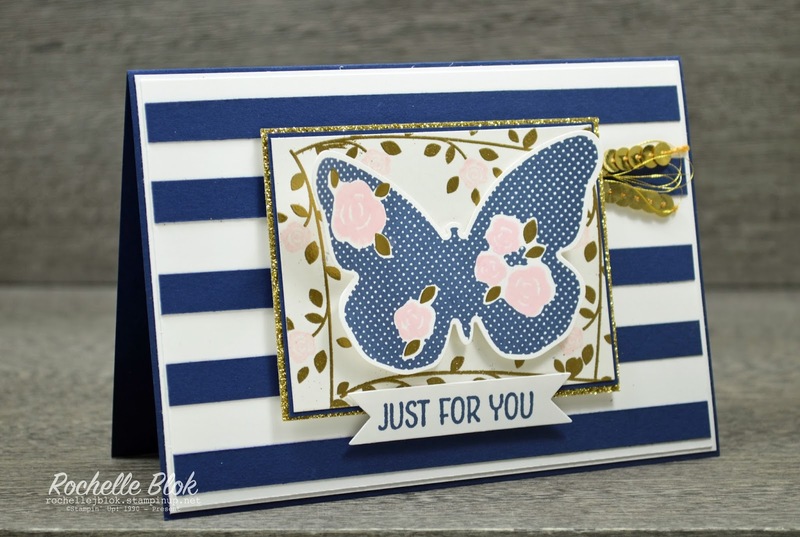 The products I used for my creations were A Whole Lot of Lovely stamp set, Floral Wings Stamp Set, Sprinkles of Life stamp set, 2015 - 2017 In Colours, Pretty Petals DSP, Sweet Stack Project Kit and a Wedding Stationary Set (You can see that here). The card I'm showing today is using the stunning and bold DSP - Pretty Petals. This is one of the 3 new DSP 6" x 6" stacks. And I love the new, bigger size! The colours in Pretty Petals are Basic Black,Calypso Coral, Mint Macaron, Old Olive, Pacific Point and Very Vanilla. Some of those colours I don't use very often, like Calypso Coral or Pacific Point, but for some reason this DSP really stood out to me when I had my first look through the catalogue. As the name suggests it really is pretty DSP. The striped background paper is not part of the DSP stack. It is in fact part of the new Envelope Paper. The In Colour 12" x 12" paper stack diagonal striped pattern could work well here too. I would have used the paper stack but my order hadn't arrived yet so the next best thing was the Envelope Paper. The butterfly is die cut out of the Shimmery White cardstock but again I just can't capture the beautiful shimmer that it has. I'm really loving this cardstock. It's stunning! Be sure to sign up to my blog to receive my future post by email, on the right hand side, to see the rest of my Catalogue Launch creations! You don't want to miss a thing! WOW! It's the end of June (already) so we have the last Just Add Ink Challenge for the month! Proudly brought to you by Just Add Ink Design Team Member, the queen of sketches, Narelle! This is the sketch for this challenge. I saw this colour combo recently and I wasn't too sure about it but I thought why not give it a go and see what you come up with. The colour combo is Delightful Dijon, Blackberry Bliss, Mint Macron and Tip Top Taupe. The stamp set used is A Whole Lot of Lovely. This is a hostess set. If you really love this set you can get this set with either a $250 (AUD)+ order or a qualifying party. So contact me on how you can get your hands on one! I'm not really a fan of the 'mustard' type colours and I think that is what threw me when I saw the colour combo but I really love how it has all come together. It's all finished off with some of my new favourite accessories, Metallic Gold Thread and the Dotted Lace Trim. 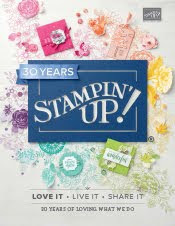 I'm really loving the hostess stamp sets in Stampin' Up!s New Annual Catalogue. 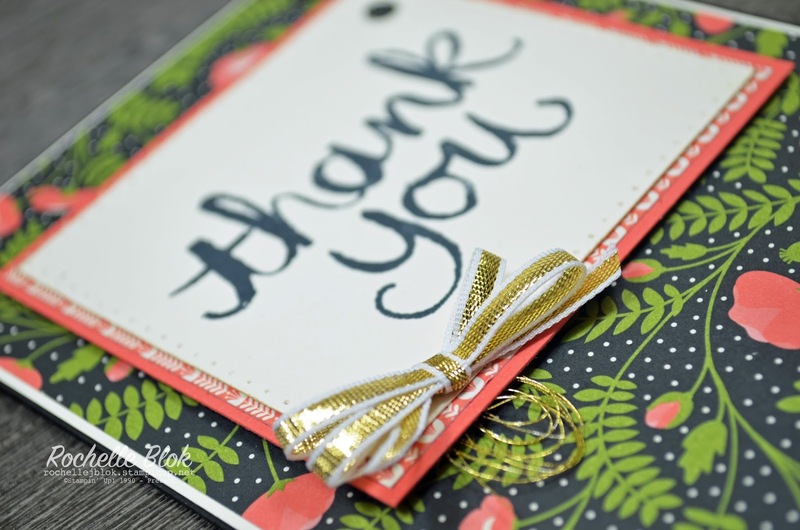 They are all awesome and all can be used for a variety of occasions. The one I've used today is 'A Whole Lot of Lovely'. I've actually only used part of one of the stamps by using the Stampin' Write markers to 'paint' on the parts of the stamp that I want to use. 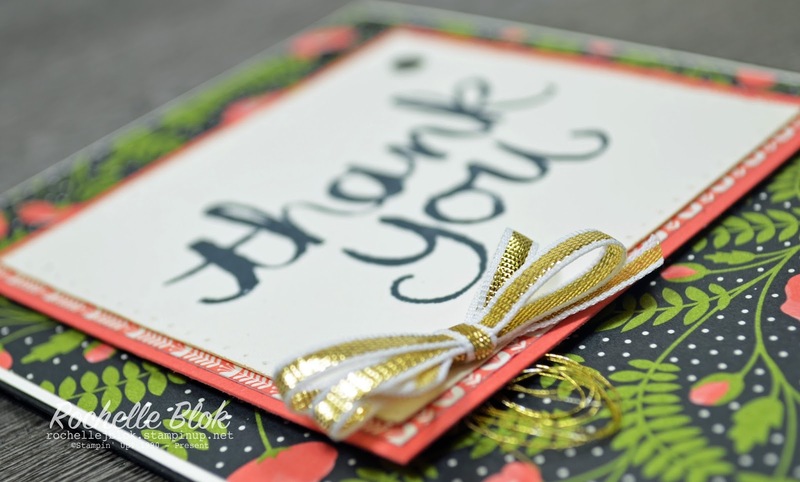 I've used the Smoky Slate Stampin' Write marker to 'paint' ink on to the flower images and then that leaves the words 'You're Fabulous' blank. I did that, as you can see, so that I could use the 'Hello' from the new Greeting Thinlits in it's place. 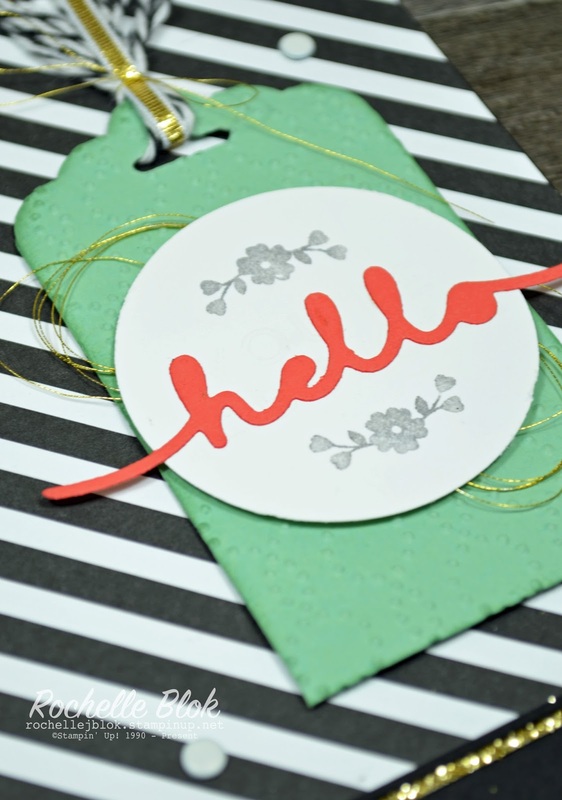 The embossing folder used on the tag is the new Elegant Dots Texture Impressions Embossing Folder. I was quite sad when the Perfect Polka Dot Embossing Folder was retired with the last catalogue but using the Elegant Dots folder, I think this will replace the Perfect Polka Dots nicely. 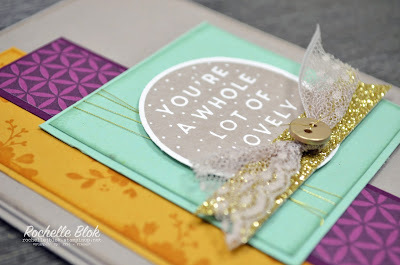 Watch this space for more posts showing 'A Whole Lot of Lovely' and other hostess sets. There are plenty more creations to I have to show you. It's Friday again! Yay! That means that today is the day for another Just Add Ink Challenge, Just Add Typography, brought to you this week by Design Team Member, Di Barnes. 1.the art or process of printing with type. 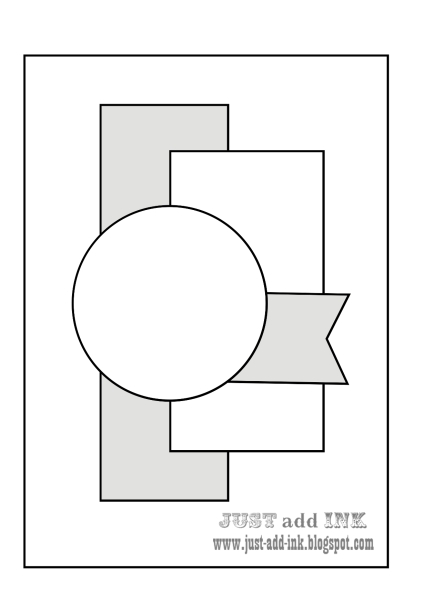 2.the work of setting and arranging types and of printing from them. 3.the general character or appearance of printed matter. Which basically means using font or type to create print. For my card this week I've uesd the Watercolour Thank You stamp along with the new DSP Paper Stack Pretty Petals. The DSP is quite bold and busy so I've kept the card quite simple this week and let the stamp and the DSP speak for themselves. I really love the design of the the DSP and how striking it looks with the pops of Old Olive and Calypso Coral. I've then just used the reverse side of this sheet of DSP to co-ordinate the square layers. 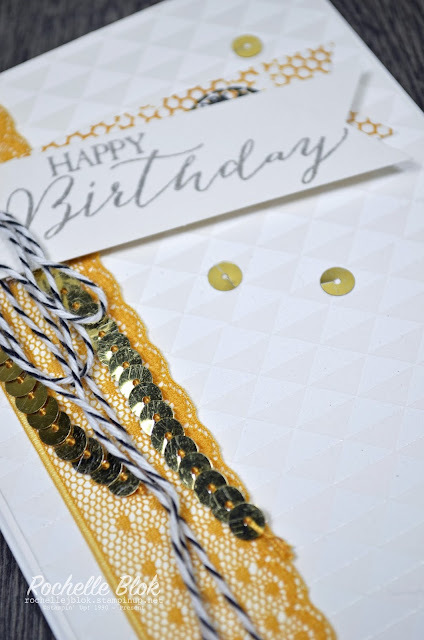 I've embellished the card with some of the new Metallic thread, think I've nearly used a whole roll of the gold thread and I only got it last week, 1/8" Gold ribbon and the Metallics Sequin Assortment. 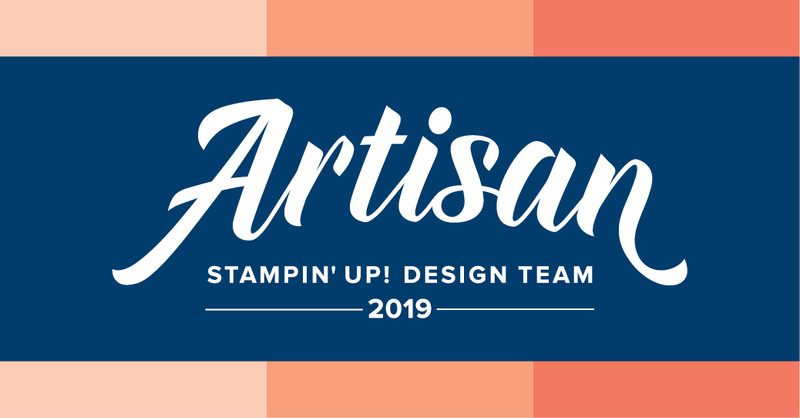 Now go and check out the rest of the Just Add Ink Design Teams creations and show us your interpretation of Typography. It's Monday again , they come around so quickly, so that means it's time for another Stamp Review Crew Blog Hop. I'm so happy to have you here. 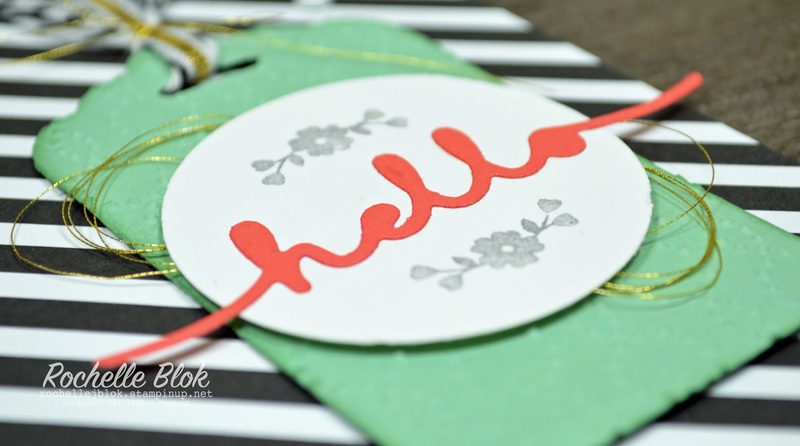 This hop we are using the Petite Petals stamp set. Those flowers are just gorgeous and a co-ordinating punch too!! Petite Petals stamp set has 6 small flower images, all very different from each other. 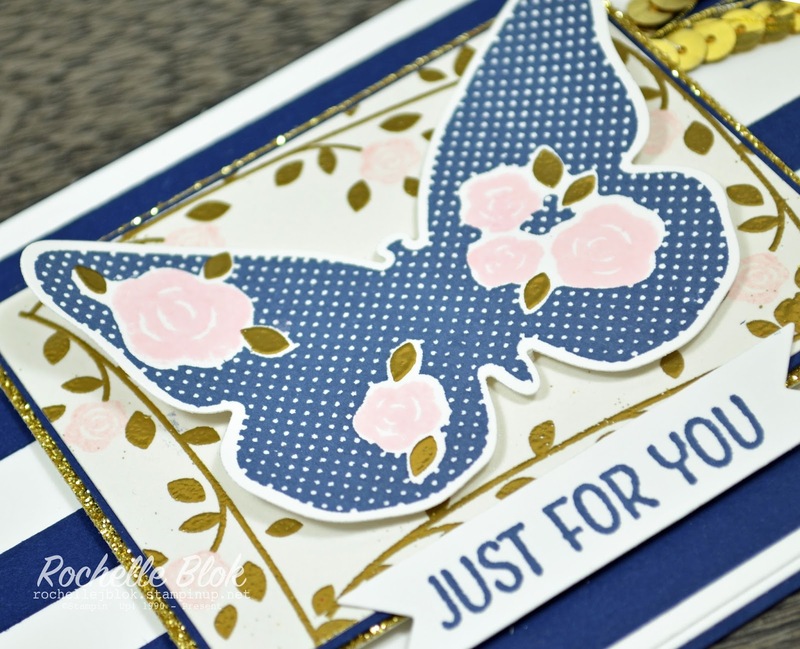 I've used the one of the spotty images and embossed it with white embossing powder on vellum. I've gone for a square card this time, something I don't do that often and I cut out the centre panel with the square collection framelits. The pink insert panel is embossed with the new butterfly embossing folder called Fluttering. 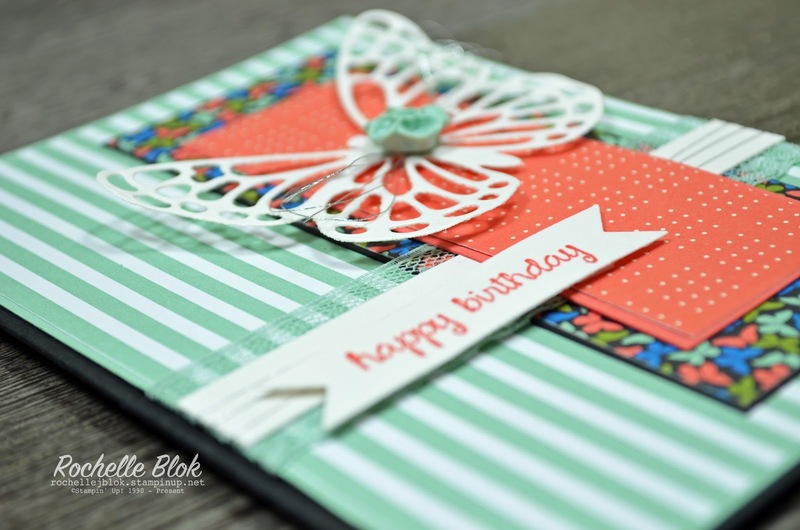 It is beautiful and the best thing about this embossing folder is it's bigger in size. 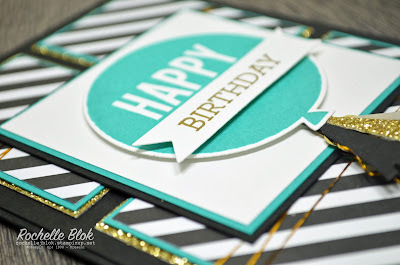 Its 15.2cm square, so you can emboss bigger pieces of cardstock. Yay! 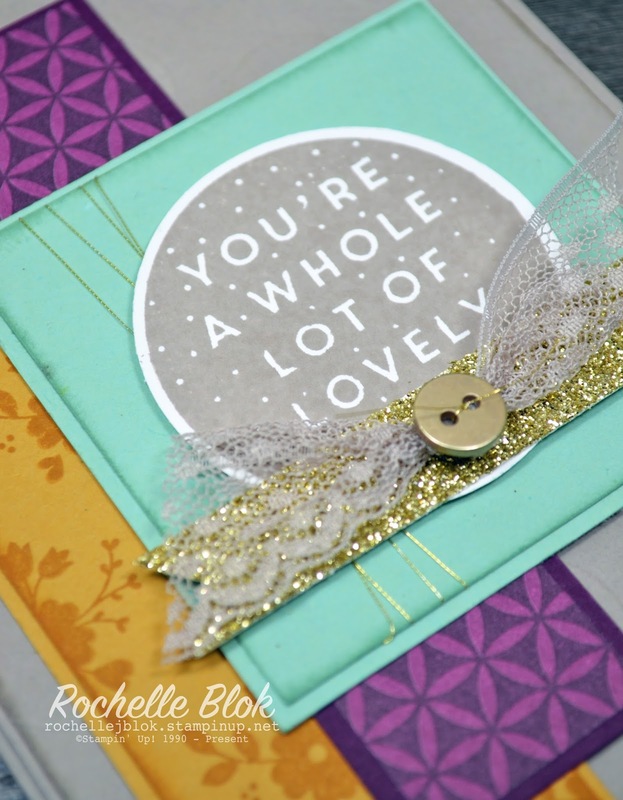 I've clustered the Petite Petals in the corner of the card. The small pink flowers are from the new Tree Builder Punch. There used to be a small flower punch, of the same shape but bigger, a few years ago and I really wanted something of that shape to go in between the Petite Petals. I then remembered that the new Tree Builder Punch had a flower and went with that. I've finished off the card with the Expressions Natural Elements. I love these. Love the natural wood look and also did you know you can emboss them with embossing powder too if you want to change the color. Check out how to do that here. Thanks so much for stopping by. Click on the next button below to 'hop' on to the awesome Mike Funke to see what he has done with this cute stamp set. Be sure to leave a comment as we all love to know what you all think of out creations. Another Friday and another Just Add Ink Challenge! Yay! I really love Fridays when each Just Add Ink challenge rolls around! Gives us all an opportunity to gt creative over the weekend. This week is a colour challenge brought to you by the fabulous Nikki. 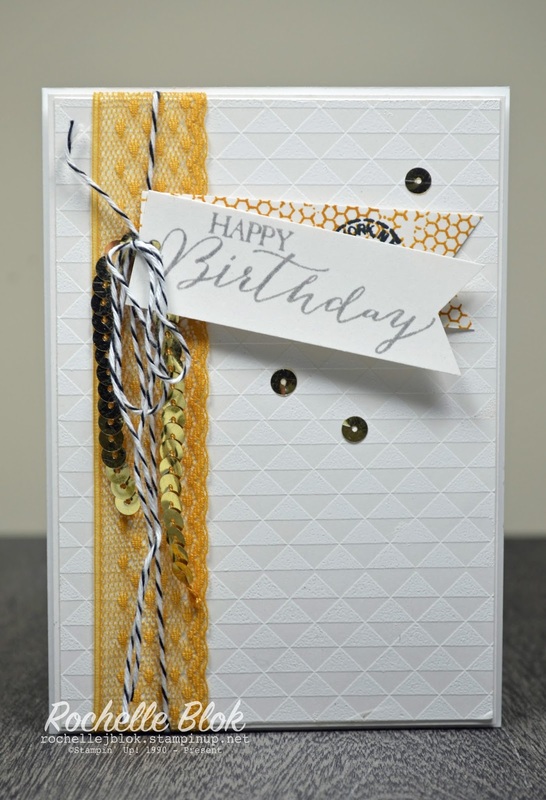 Its a stunning colour combo and it has one of my favourite elements (if you hadn't guessed by now), gold!!! I received my first order of goodies from the 2015 -2016 New Annual Catalogue on Tuesday and I had to crack this stamp set open, Watercolour Wings. Its a two-step stamp set,which means you layer multiple stamp images to get the one image. It may look like I've used 3 colours to get the butterfly image but in fact I've only used two. The very first layer (the lighter pink) I've used the technique called 'Stamping Off'. 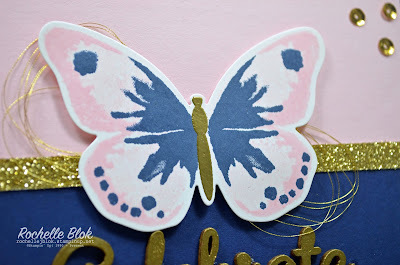 I inked up the base wings with Pink Pirouette, stamped the image onto some scrap paper and then stamped the image again on my cardstock without re-inking my stamp. When stamping the second time without re-inking it gives you a lighter variation of your ink colour. 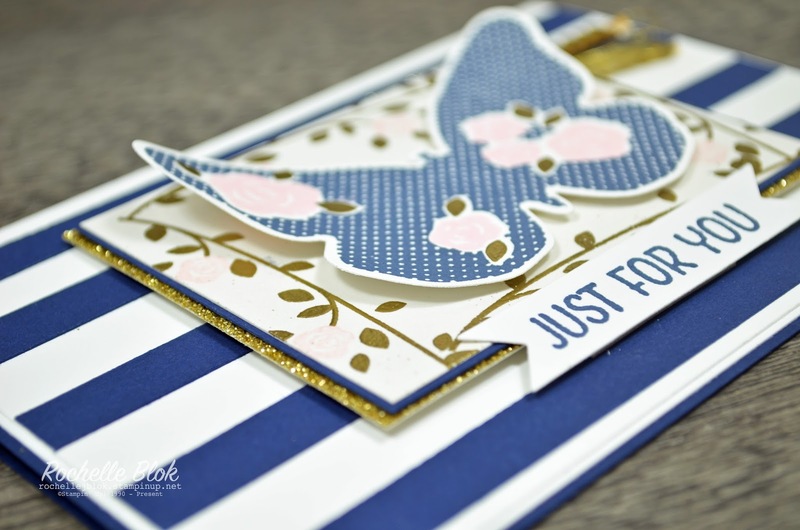 So if your looking for two colours that have a similar hue, try stamping off. That way you will know your colours will go together. Did you notice the gold 'Celebrate'? 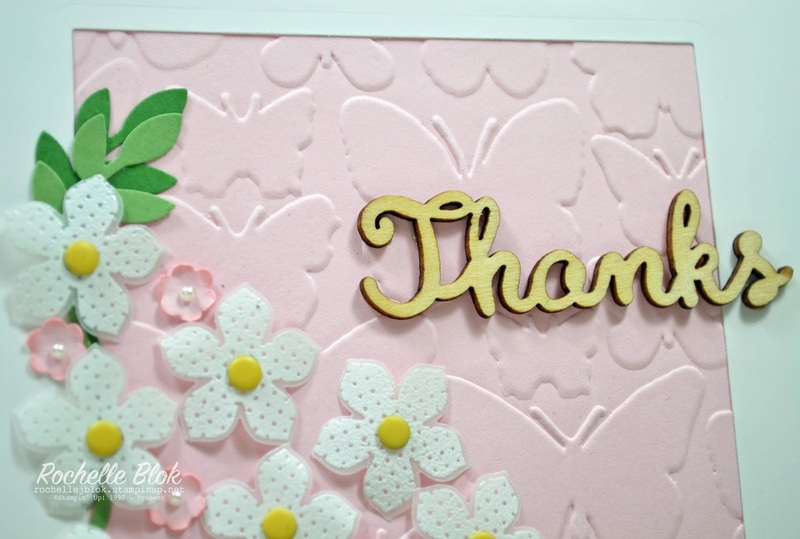 This is from the new embellishments the Expressions Natural Elements. They are a 3D wood veneer greeting and they don't actually come in gold. They come in a natural 'wood' colour. 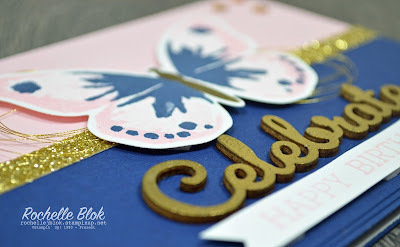 I pressed the 'Celebrate' into my Versamark ink pad, sprinkled it with gold embossing powder and heat set the powder. Looks so pretty and looks even better in real life. Here is a 'how to' on how I embossed the Expressions Natural Elements. Make sure you check out the other Just Add Ink Design Team creations, they are fabulous always! You may have noticed that there are a couple of new stunning butterfly sets in the new 2015 - 2016 Stampin' Up! Annual catalogue. I'm using one of them today called Floral Wings and this is a hostess set. 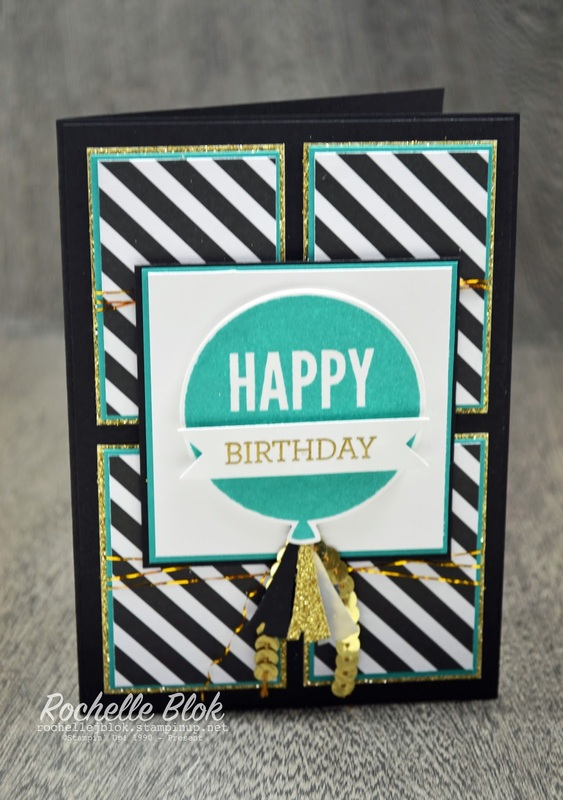 Being a hostess set that means you can get your hands on it in two ways, either hold a qualifying Stampin' Up! party with me (must be over $250AUD in sales) or place a $250AUD order with me and you can then choose this set for free. Its as simple as that! And how stunning is that set. Who wouldn't want to get it?! This set is a two-step stamp set. 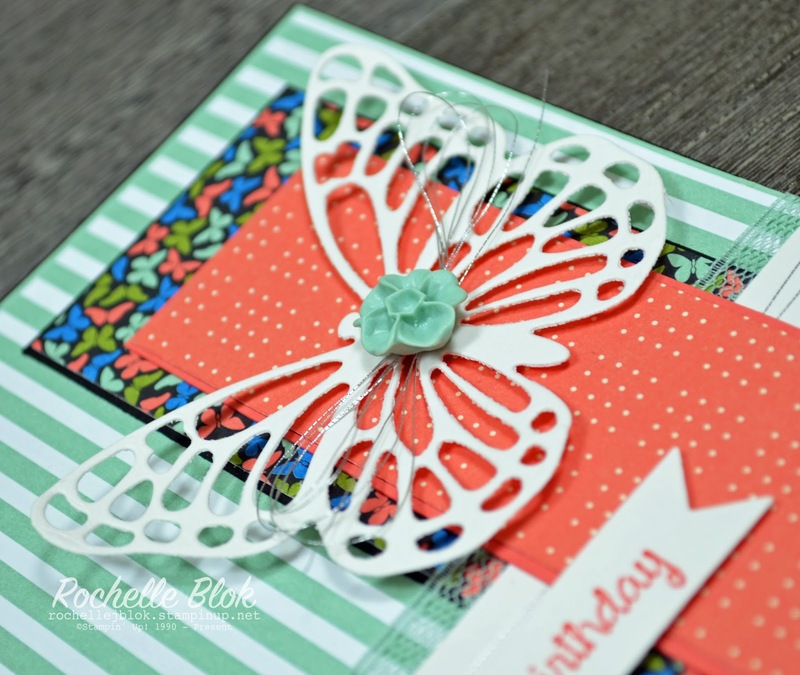 That just means that to achieve the layers in the butterfly image there are two or more stamps that you overlay to achieve the final image. It may sound a bit fiddly but trust me it is well worth the effort to use the two step stamping technique. If you want to get your hands on this set you can place an order through my online store by clicking on the 'Shop Now' in the right had side bar (Australian residents only). You order will be delivered to your door anywhere in Australia (Order must be $250AUD or over to get this set for free). Or you can book a party with me, gather all your family and friends around, have a fun few hours crafting and having a fantastic time together. Why don't you book a party today??!! Watch is space on Friday to see my creation with on of the other butterfly sets! These weeks seem to roll around faster and faster! I can't believe we are in the first week of Winter. The days are definitely shorter and a whole lot colder! It's only supposed to be 10 degrees (Celsius) here today. Brr!!! Perfect weather though to stay indoors and ... CRAFT!!!! Its a new challenge at Just Add Ink this week set by - ME!!! And for those who know me well and my favourite Stampin' Up! colour then you would say this is very me. Bermuda Bay and Gold. Can't go wrong with those two colours. 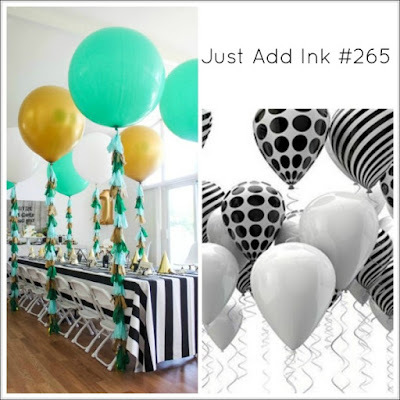 When I first saw the party picture on Pinterest it took my breath away. WOW right!! I thought the colour combo was amazing and I pinned the picture on my Pinterest board - Colour Combos straight away to use for a future creation and for some inspiration. When the call out came from the other Just Add Ink ladies for some possible challenges I put this pic up and well the rest is history. The black striped DSP is from the Neutrals DSP stack. All the patterns have been changed up to give them a fresh, even bold modern look. I'm loving the stripes, just sayin'. The balloon is stamped in Bermuda Bay and then I've used the 'birthday' from the set Crazy About You and heat embossed that with gold embossing powder. While waiting for my new catalogue order, which should be delievered any day now , I have some of the new Gold Metallic Thread in my order. So while I couldn't use that I had to do the next best thing to get a fine strand of gold thread and that was to pull the gold strand out of the Gold Bakers Twine. That works a treat!!! 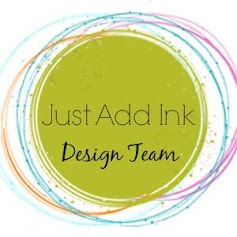 Come and check out all the other creative gals on the Just Add Ink Design Team. We would love you join in this weeks challenge and to see what inspires you from the inspiration pic! It's the first Monday of June so that means it's time for another Stamp Review Crew Blog Hop. It comes around so quickly each time but I'm so happy to have you here again I can't believe that we are in June already. The year is flying!!!!! Winter is definitely starting to set in and is getting very chilly! Makes it a little hard to get out of bed in the morning, that's for sure! 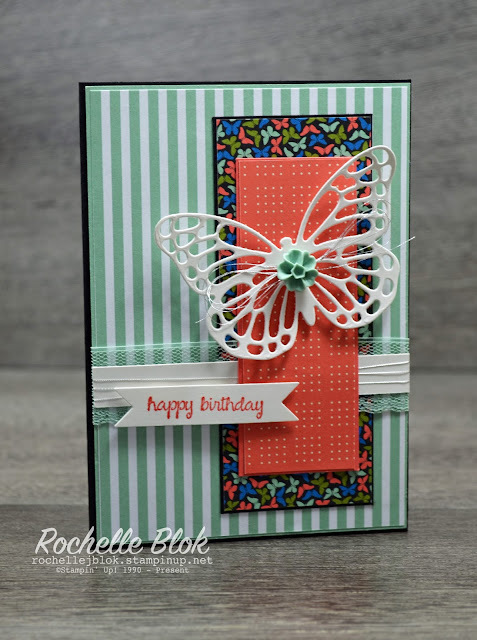 This hop we are using the Dotty Angles stamp set. An awesome set for some fabulous backgrounds!! 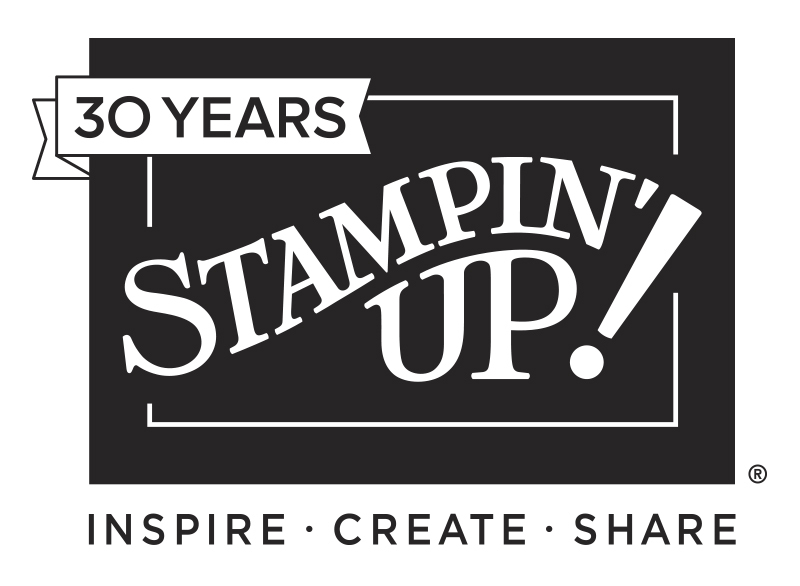 For those hopping along for the first time, we are a group of International Stampin' Up! demonstrators and we have a blog hop of the first and third Monday of each month. 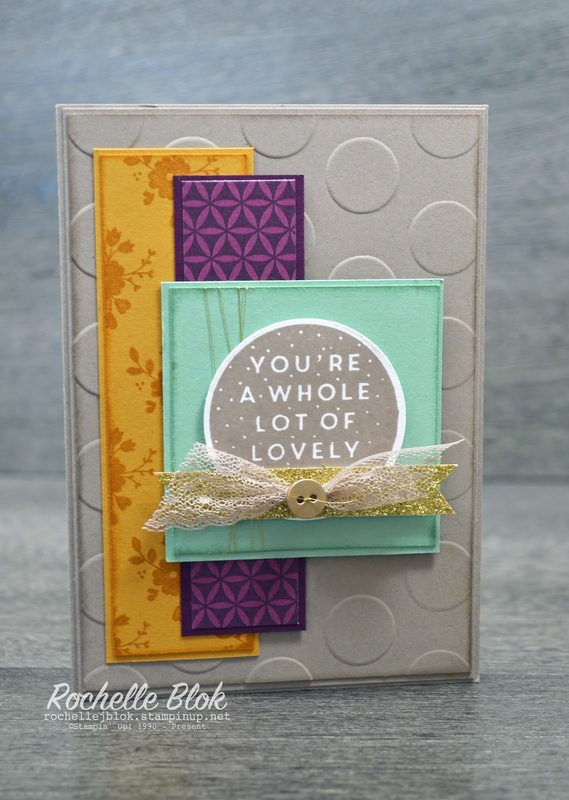 Each hop showcases one stamp set and we like to show you lots of different creative ways to use it! 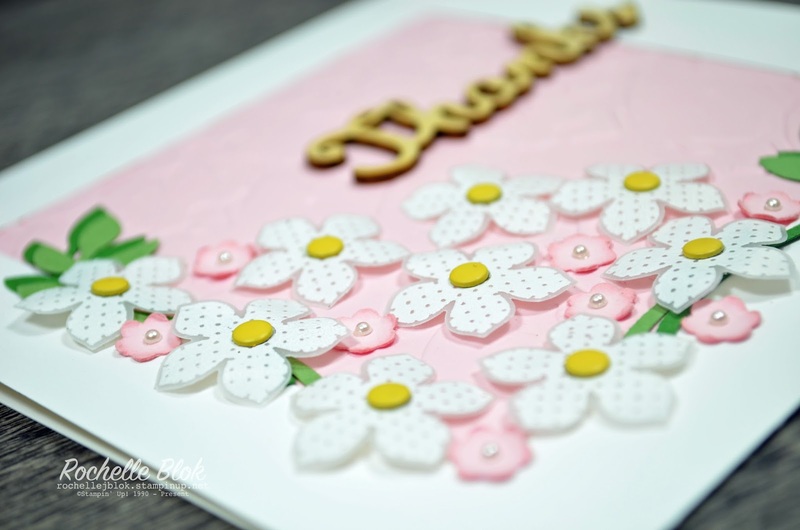 This set has two patterns, a triangle pattern and a dotty pattern, hence the name Dotty Angles. 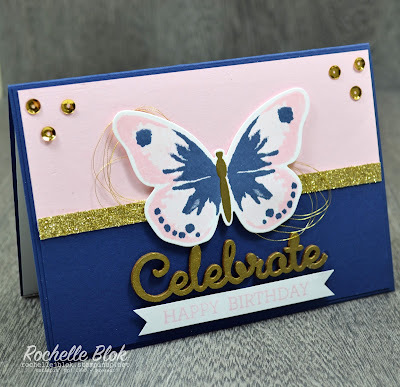 I've used the triangle stamp and this one lend itself awesomely to heat embossing which is what I've done on my card today. 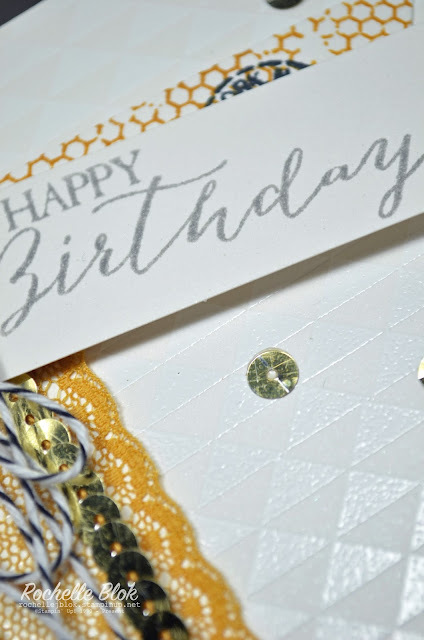 I wanted to make it look like the background was made with a texture paste so I embossed the triangle stamp on white card stock with white embossing powder. Because the stamp is photopolymer and completely clear it makes it very easy to repeatedly stamp the triangle image and line it up without a Stamp-a-ma-jig! I actually used the Shimmery White Card stock to emboss on but it is really hard to get that shimmer to show up in the photos. I'm not usually into the mustard colours but I think by using the new In Colour, Delightful Dijon, to give a pop of colour works really well! How cool is that colour combo too??!! 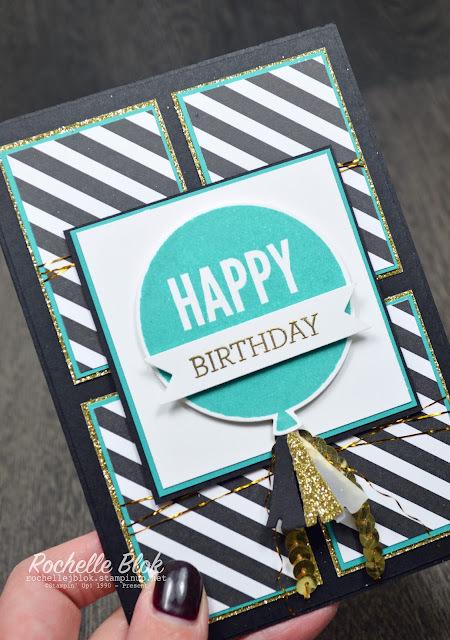 Delightful Dijon, Smoky Slate, Black and Whisper White. I tried to get a close up to show the Shimmery White card stock. I think you can see a little bit of the shimmer in this one. 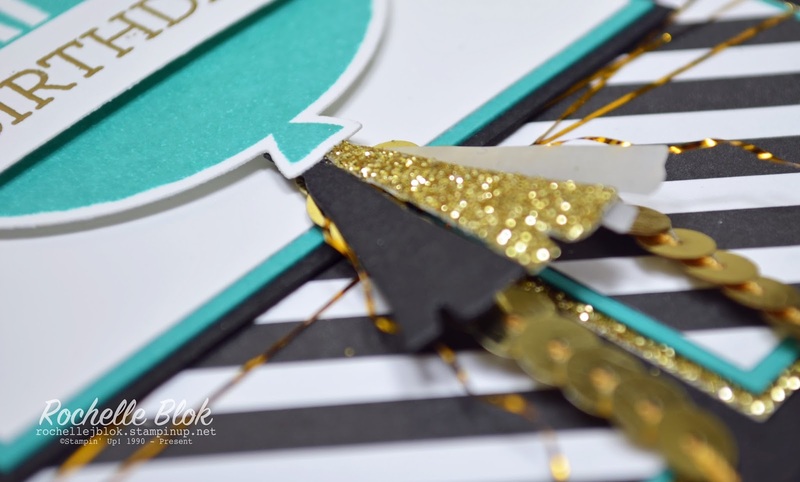 It really is pretty card stock and gives a beautiful, subtle shimmer! Not long now and you too can get some of the new In Colours and new catalogue products. Bring on June 2nd!!!! Click on the 'next blog' button below to take you to Deb Currier, to see her fabulous creation! 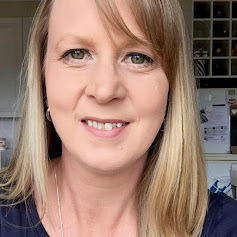 And if you are travelling in reverse on this blog click on the 'previous blog' button to bring you back to the amazing Debra Burgin.